GET OUR WINGS FOR 50% OFF! join us for Brunch 10am-3pm. We're serving one and a half pound lobster with drawn butter + two sides for $14.95! Every Sunday from 5-9pm. Offerings are limited. we sell out every week - come early! In our short time in business, Lee's Pint & Shell has worked hard to provide quality food and drinks to our customers and we humbly appreciate all the notes given to us by the various press organizations. have a look at what others have to say about lee's. Whether you are looking to relax with your friend and family, or if you want to make the most of the Baltimore dating scene, Lee's Pint & Shell is a wonderful place where you can dine on seafood, burgers, pizzas, and so much more. If you're taking a date out on a Sunday night and want to impress, this is a great place to get a lobster dinner at an affordable price. Lee's Pint & Shell is also known for hosting lively events such as Shuckin' in the Street Block Party, Sagamore Spirit and Brewer's Art Beer and Cocktail Night. Be sure to check out their website for upcoming events! Opened in Canton in 2008, Saute never seemed to truly know itself. The corner establishment served likeable pub fare in a prime location, but the vibe inside felt stuffy and drab. Was it a sit-down restaurant or a casual bar? As new bars opened around the city in recent years, owner Dave Carey felt the identity crisis growing more pronounced. So last summer, he shut Saute for seven weeks to undergo nearly $200,000 worth of renovations and a rebranding. We could all use a makeover every once in a while. That was what Dave Carey thought about Saute after eight years of business in Canton. 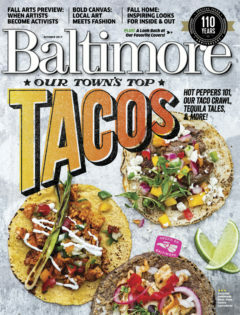 Located at the corner of Linwood Avenue and Hudson Street, the bar always felt a little stuffy to us—with higher-than-average price points, fancy entrees, and even a name that didn’t feel very Baltimore. So Carey decided it was time for a change last fall and remodeled the restaurant for six weeks. The result is Lee’s Pint and Shell (2844 Hudson St., 410-327-2883), named after Carey’s late father who was a seafood lover and fisherman. You could call 2016 the year of rebranding for many Baltimore bars and restaurants, with several places changing names and menus in recent months. Among them is Saute in Canton — now called Lee's Pint and Shell. The new iteration features a seafood-laden menu and a raw bar. Owner Dave Carey named the restaurant after his father, Lee, a fisherman and seafood lover who died a few years ago. Feeling his bar and restaurant had grown stale, Saute owner Dave Carey closed his Canton establishment at the end of July for a considerable rebranding. On Wednesday — after seven weeks of renovations — the new restaurant, Lee’s Pint and Shell (2844 Hudson St.), opened to the public.